Intended to set you on a path of personal growth. Our next baptisms will be held in the spring. Come alongside those who are taking their next step in their adventure with Jesus. Here at Life Church Buffalo, we love and serve with intentionality. Come be part of the team!  New to Life Church Buffalo? This is the best place to start! An opportunity for seekers, starters, and returners to take their next steps. Where growth and discipleship happen. Welcome others to the world of discipleship. How you can help others grow. Next service will be in the fall. Date and time to be determined. Copyright 2019, Life Church Buffalo. All Rights Reserved.